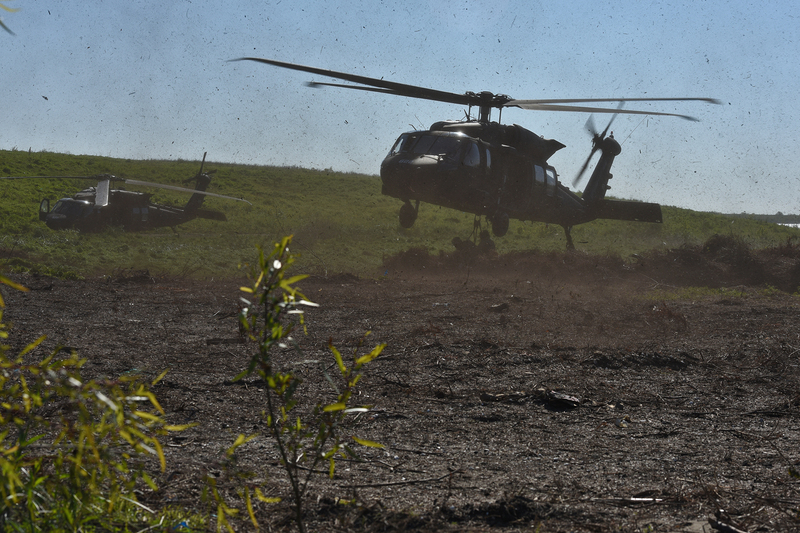 NEW ORLEANS – The Louisiana National Guard’s 1st Assault Helicopter Battalion, 244th Aviation Regiment and Forward Support Company, 205th Engineer Battalion supported the U.S. Fish and Wildlife Service during the annual Christmas Tree Drop in the Bayou Sauvage National Wildlife Refuge in New Orleans East, March 14. 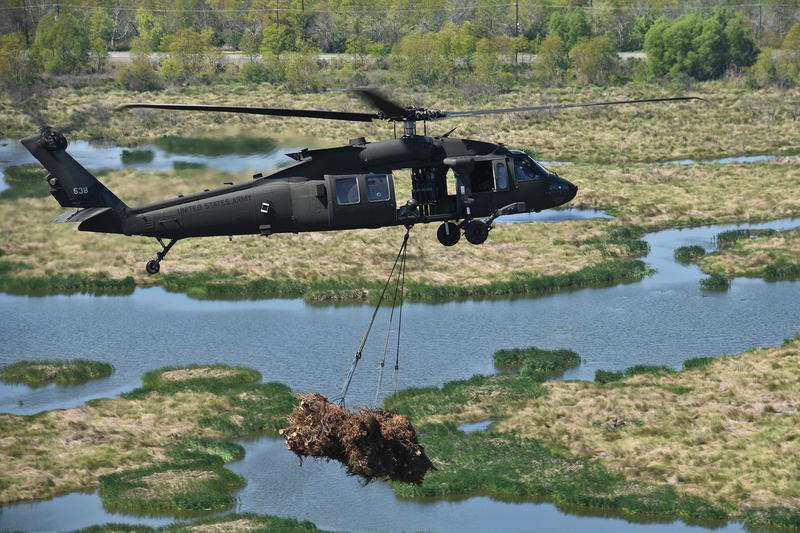 During the operation, LANG aviators and engineers hooked up and dropped bundles of recycled Christmas trees provided by Orleans Parish residents into key areas to rebuild marshland in Bayou Sauvage. This process creates new marsh habitats by building structures that can support native marsh grasses, which traps and holds sediment, creating more land. The project has re-established hundreds of acres in the Bayou Sauvage NWR over the last 23 years. This year, the LANG and the U.S. Fish and Wildlife Service emplaced approximately 8,000 Christmas trees. 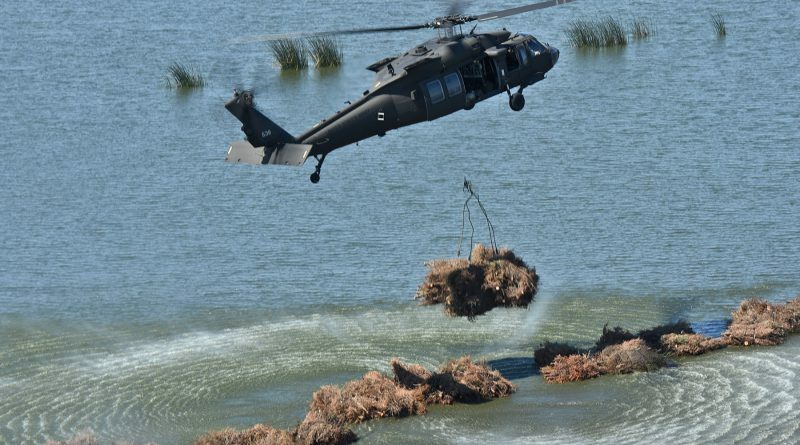 Stiaes said that in addition to creating a wildlife habitat, rebuilding eroded marshlands in the area is important because they act as wave breaks that protect against New Orleans East flooding from storm surge during hurricanes. 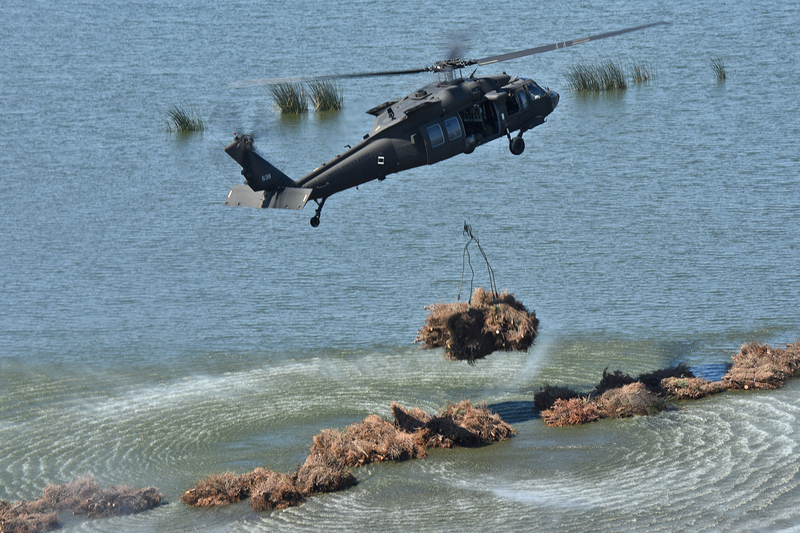 Ruiz said that the benefits of this training can be seen as recently as two years ago, when LANG flight crews dropped countless sling-loaded sandbags into breached levees to slow floodwaters in 2016. Ruiz said that being able to participate in the Christmas Tree Drop every year is invaluable to developing those skills in a controlled environment so when the need arises, flight crews are ready to speedily and efficiently complete their missions.